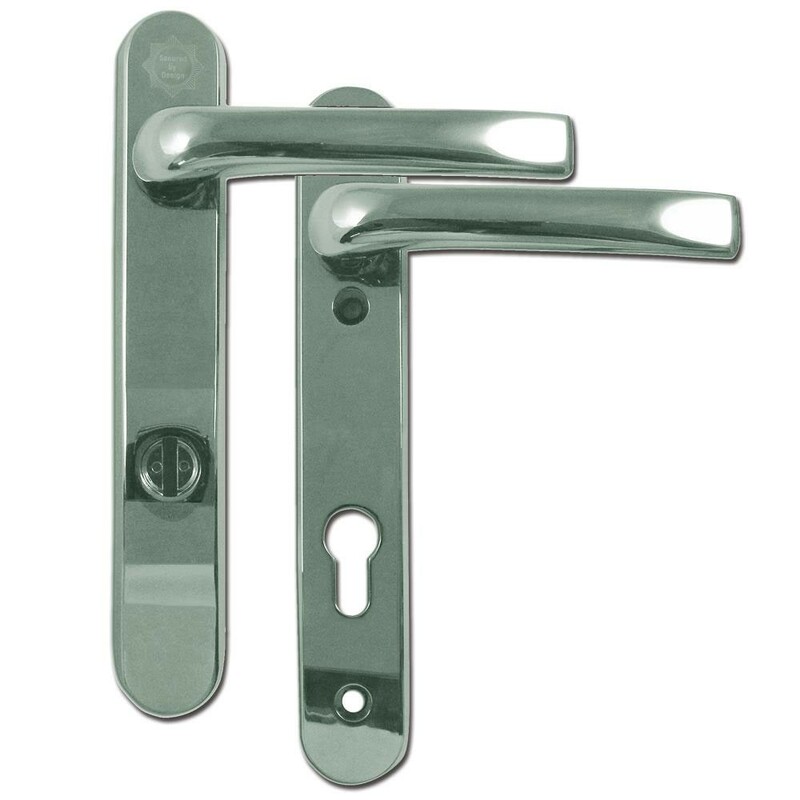 The Asec Kite Secure handle range combines visible security features with concealed reinforcement technology, providing ideal protection against cylinder and handle snapping. It is mounted on a 220mm high backplate, it has 92mm centres, 122mm screw centres and is suitable for a locking mechanism that takes a euro profile cylinder. Rotating anti-drill plate. Integrated cylinder guard. Snap attack resistant. Anti-grip chamfered shoulders provides mole-grip resistance. Laminated segment pack increases resistance to snapping. M6 hardened Steel screws for extra strength. Steel reinforcement technology concealed within the backplate.